To prime or not to prime? This is a question I get asked a lot, If you want longevity from your makeup then the answer is definitely yes – prime! A primer will put a procreative barrier in-between your skin and foundation, a good primer will smooth the surface of your skin, blur wrinkles, matify & minimize the appearance of pores. They prep the skin for the makeup application, creating a smooth canvas. However do give your skin a break, primers contain silicone (Dimethicone – also known as polydimethylsiloxane or PDMS) which can cause breakouts on some skins, I use mine at the weekends, nights out and for special occasions. 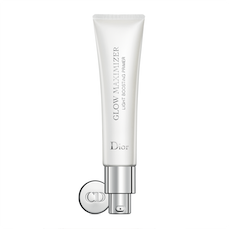 If you have dry skin use a moisturiser first, if your on the oilier side; you can apply primer directly onto the skin before foundation. For photographic work avoid primers with silica as this will create a shimmer on the skin and will bounce back the flash from the camera. Lightweight, creamy gel Colorless & creates an invisible layer With Vitamins A, C, & E, this primer is good for normal skin, Smooths skin, its great for sensitive skins as has the calming properties of Vit E. use only a small amount otherwise you could get some flaking. An ultra-fluid lotion, Calms and soothes the skin, blots away excess oil, and evens out skin redness. Improves the application of foundation or powder. It does have a shimmery base, which I quite like so you do end up with a slightly glittery skin, especially if your using a sheer foundation. Not great for photographic work. Great for normal Skin.